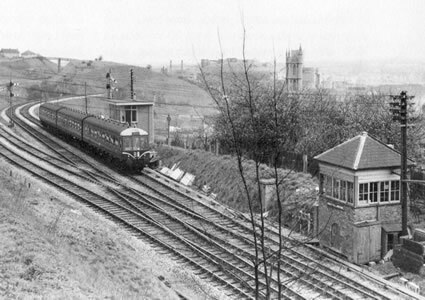 A Midland Train from Fishponds approaching Ashley Hill Junction c1910 (photo from the collection of G. A. Nichols and reproduced with his permission). 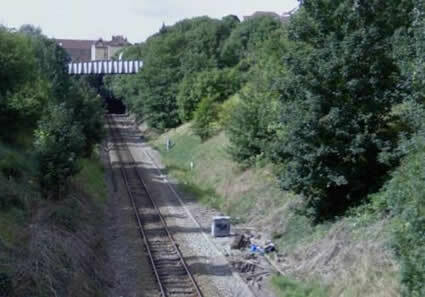 The ash path that Len Hemmings refers to can be seen running beside the signal box and rising up towards the road bridge at Ashley Hill. 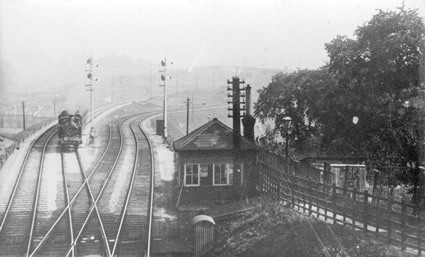 New (1959) and old (1874) Signal Box at Ashley Hill Junction 3rd April 1959 (photo from the collection of G. A. Nichols and reproduced with his permission). The gas holders at Stapleton Road Gas Works can just be seen behind the church tower. Balloon No 51/21 was stationed near there. Photo of the line taken in 2009 from Ashley Hill road bridge.